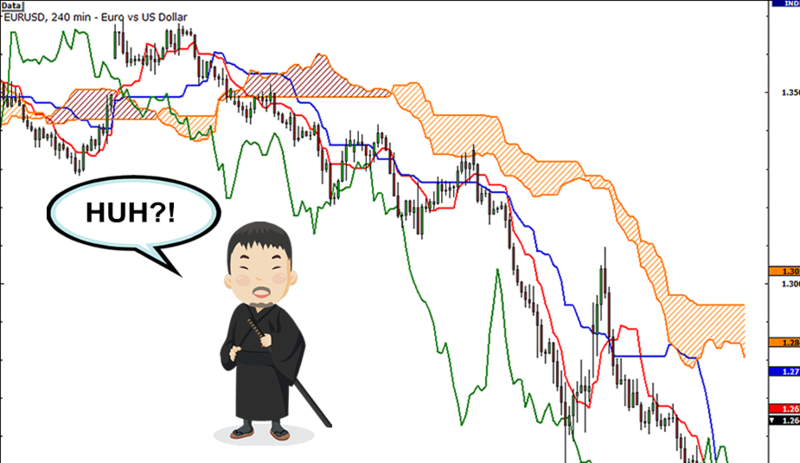 To add to your Japanese vocab, the word ichimoku translates to “a glance”, kinko means “equilibrium”, while hyo is Japanese for “chart.” Putting that all together, the phrase ichimoku kinko hyo stands for “a glance at a chart in equilibrium.” Huh, what does all that mean? Whoops. That didn’t help. A few more lines and this will resemble a seismograph. 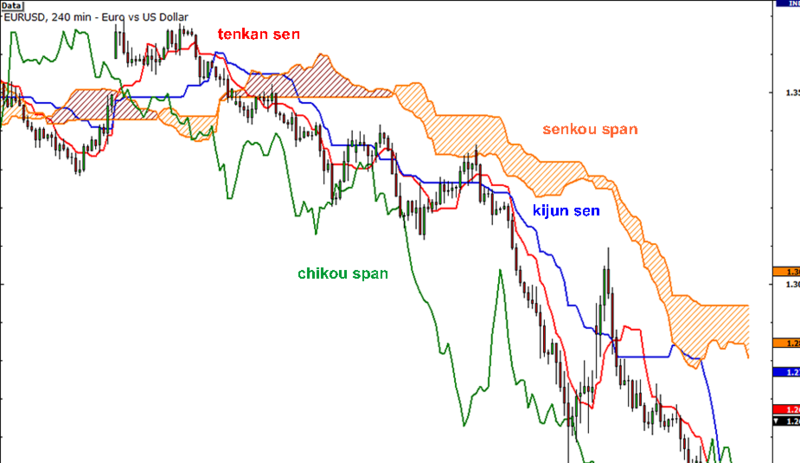 Senkou Span (orange lines): The first Senkou line is calculated by averaging the Tenkan Sen and the Kijun Sen and plotted 26 periods ahead. 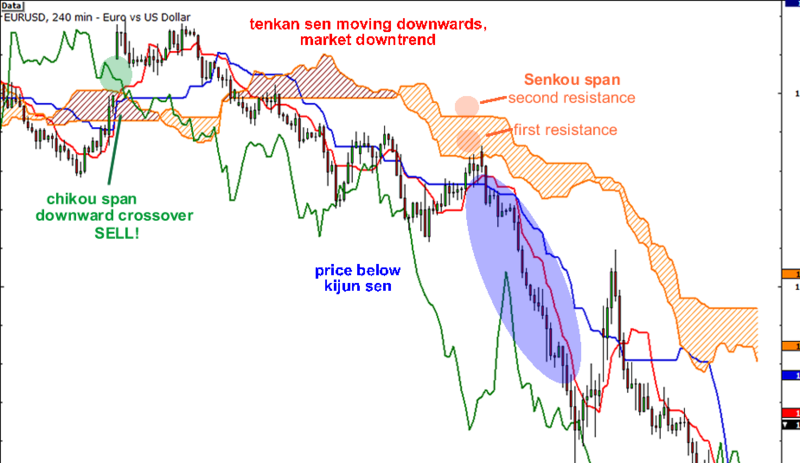 The second Senkou line is determined by averaging the highest high and the lowest low for the past 52 periods and plotted 26 periods a head.